Six teams of fire crews were dispatched to the Edinburgh blaze just before 3am on Friday. 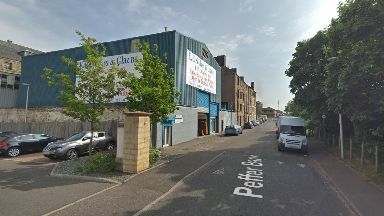 Fire crews were called out to battle an early morning blaze at an industrial unit in Edinburgh. Six teams were dispatched to Peffer Bank at around 2.59am on Friday. The firefighters used four breathing apparatuses, two hose reel jets and a thermal image camera inside the two-storey industrial building. A Scottish Fire and Rescue Service spokeswoman said the blaze took hold at the rear of the ground floor. She added: "No-one was injured in the fire. The final crew left the scene at 5.31am."